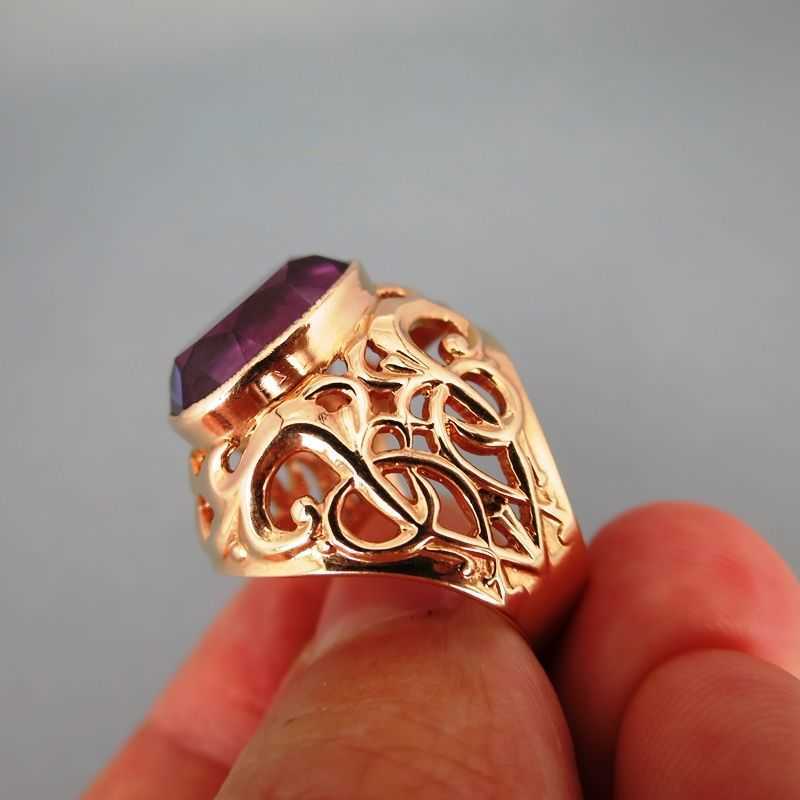 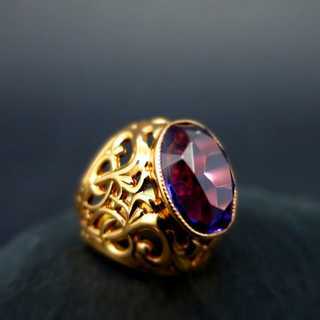 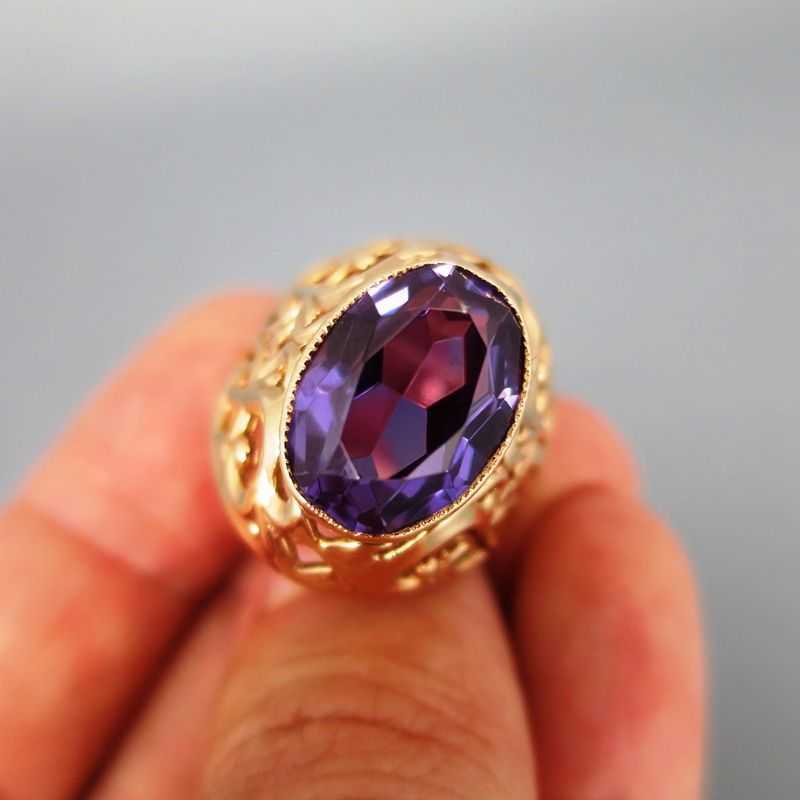 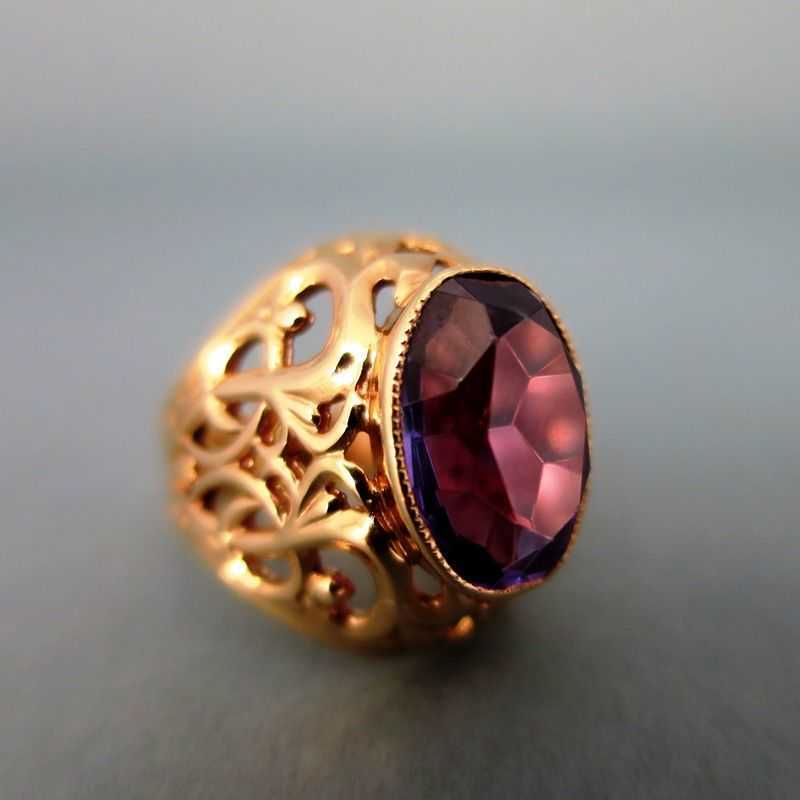 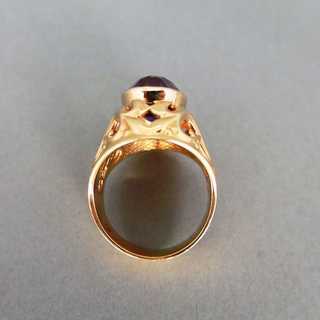 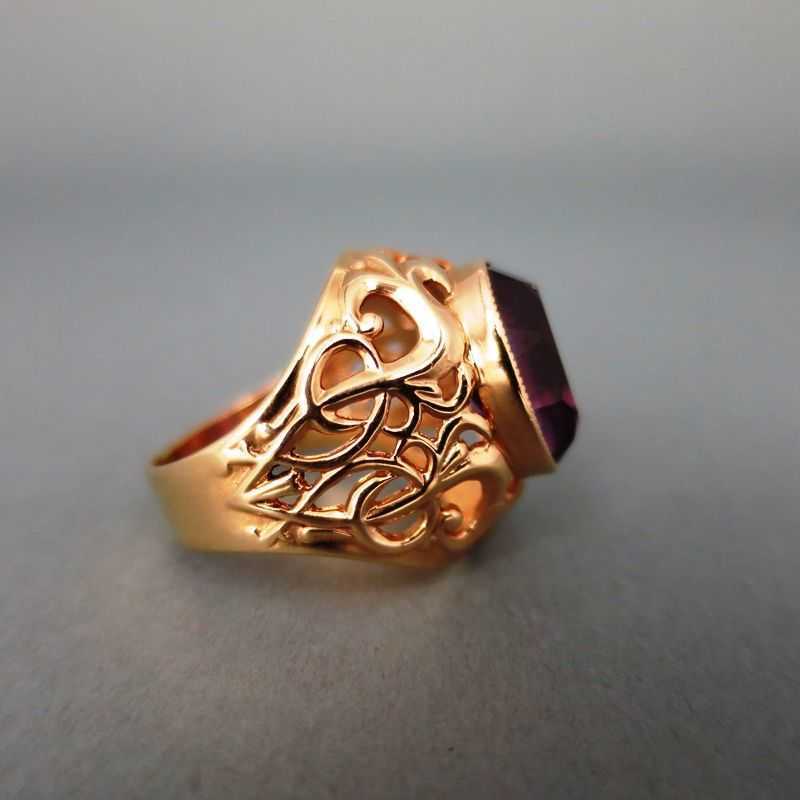 Gorgeous gold ring with a huge synthetic spinel. 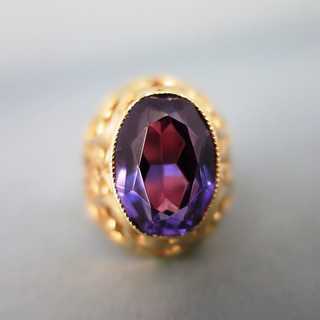 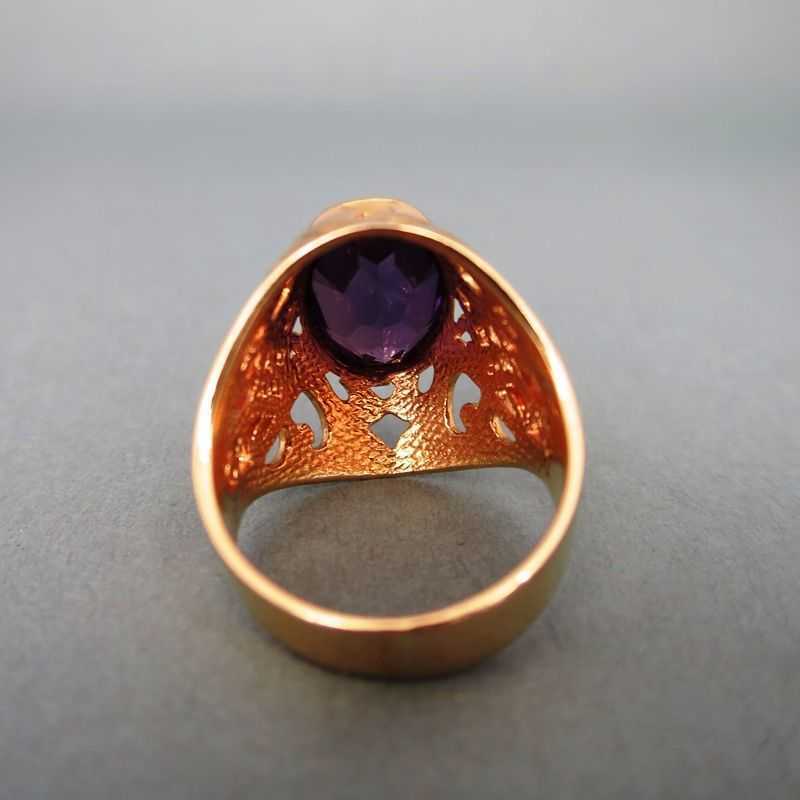 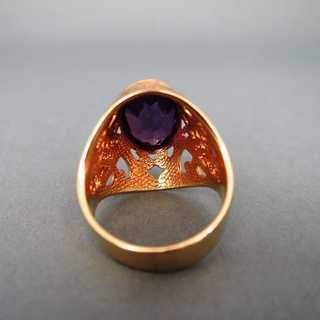 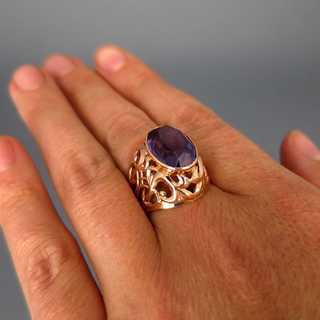 The rich faceted, oval stone has a deep violet-purple tone. 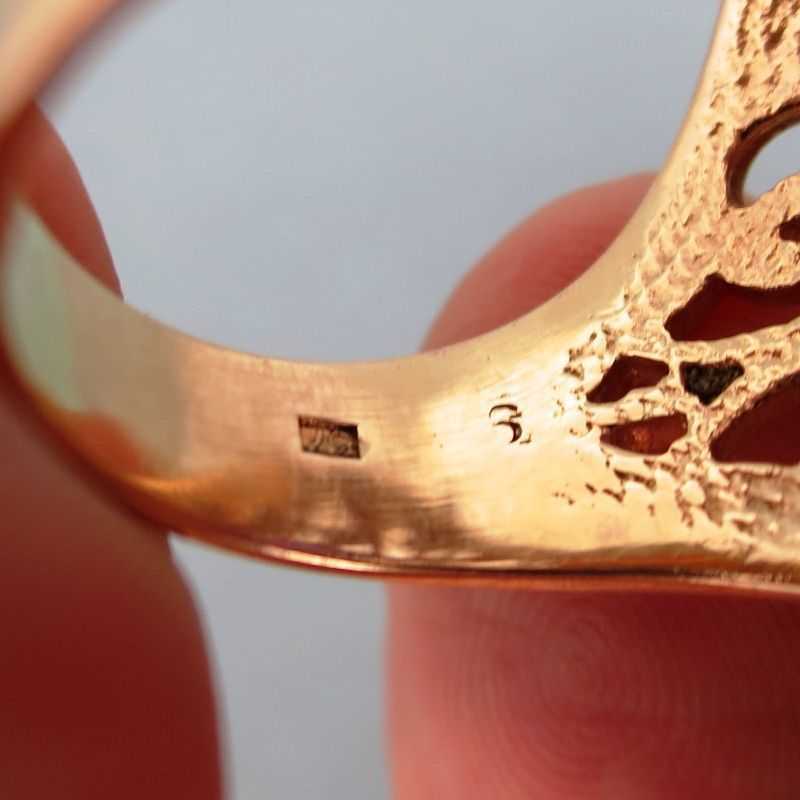 It is mounted into a bezel setting, hold by a wide gradual ring hoop with heavy open worked shoulder: beautiful scrolled and crossed tendrils and abstract leaves. Marked, made in the soviet union, about 1960.